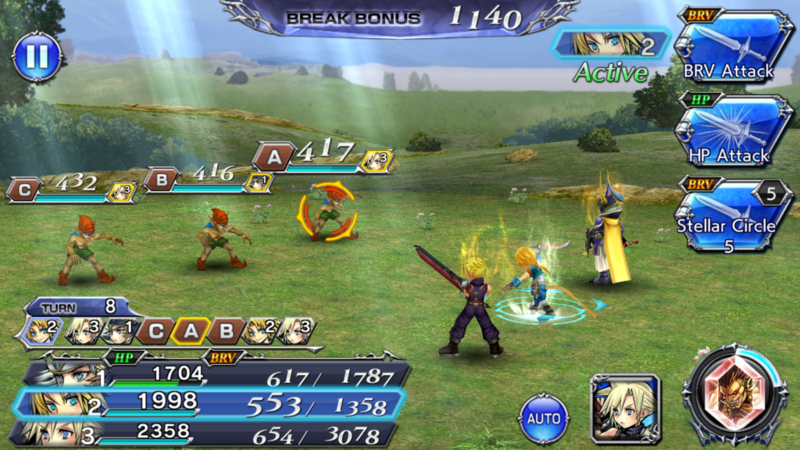 Dissidia Final Fantasy Opera Omnia has a lot of in-depth and helpful mechanics in it. But one of the most helpful mechanics is Guardian Summoning. Being able to summon powerful Eidolons like Ifrit, Shiva, and others. This guide is going to go over the mechanics of Guardian summons, how to obtain them, and how to help them grow. Note: This guide will briefly go over World of Illusion purposes for Summons but will no go in depth. This guide is designed for the basics of guardian enhancing. Guardians are this games version of summons. Summons are creatures you can call upon in battle to use powerful attacks or effects. Each guardian has their own purpose and effect that makes them different from one another. Every Guardian has a Blessing and an Ability. Blessings are effects that they use on your party, like a Defense or attack boost. 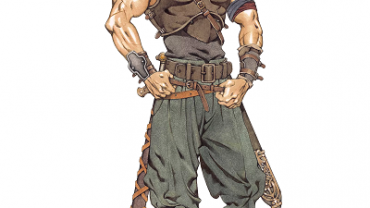 Where their Ability is their active attack that has a lasting effect for a couple of turns. The whole purpose of summoning guardians is to give you an extra little edge in a fight. Sometimes in a difficult fight, the act of summoning a guardian can be the deciding factor of whether you win or lose. So it’s smart to get as many of the Guardians unlocked as you can as quickly as you can. That way you have a selection to choose from. In battle, the guardians have their own summoning meter that determines when they can be used. This meter is in the bottom right corner and goes up slightly every turn that passes. Once it’s full you can tap the meter and you will summon your guardian. Its effect will play out and then its meter will drop back to zero and start building up again. What’s good about the meter building is that it carries over every fight. So the meter builds slowly from every turn passing but it’s every turn in every fight you do. So you don’t have to worry about having to fill your summon meter in one fight than worry about it being empty the next fight. This makes it a lot easier to build it up and save your summons for difficult fights in the later game. So this is where the lengthy process of farming comes in and there is a lot of it when it comes to the guardian summons. There are two stages of farming for the summons, the first stage is farming to unlock the summon and the second stage is farming to enhance them. 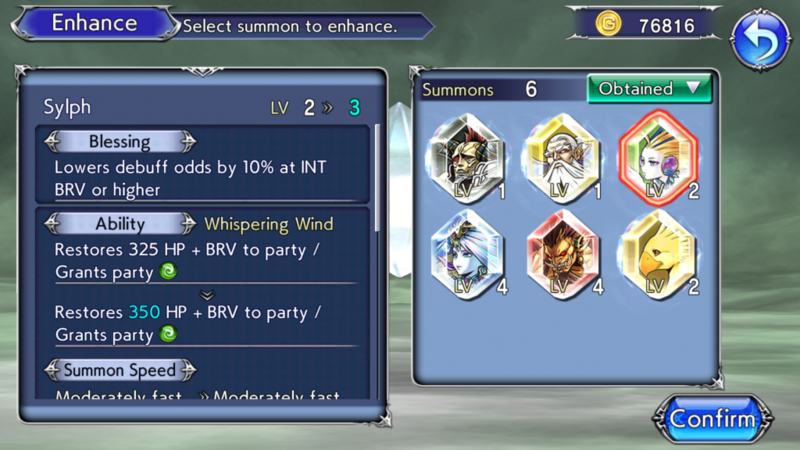 Before you can even access the summon, you need to have the proper material to unlock it. These materials are gotten throughout the story on normal mode so you’ll come across them rather easily and quickly. Once you unlock the summons the longer and more difficult farming comes into play. Every guardian has their own specific materials needed to enhance them and the more you enhance them the higher the amount you’ll need for the next level. The good thing about summons farming is they tell you exactly where you need to go to start farming that specific material. 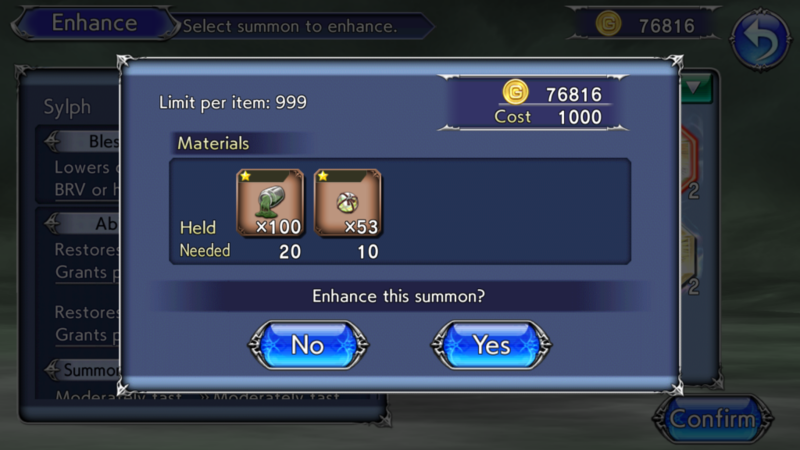 By tapping the material in the enhancing menu on that summon it tells you what chapter you can get that material from. The bad thing about summons farming is how long it can actually take to max out your summons. You’ll constantly be going back and forth between the summon menu and map menu checking your materials to see how many you need. And farming isn’t entirely bad in this game it does offer a chance to level up your characters which will be entirely helpful for World of Illusion levels. There are some chances that the world of illusion levels will give events based on summons and allow you to get materials that can enhance them passed stage 5. Getting these materials are more difficult, however, because the world of illusion stages are higher in quest level but also require stamina specifically for those levels. So they’re harder fights and technically take longer to get through. But you shouldn’t be worrying about farming passed stage 5 until you have all your summons maxed out and are at least playing through the story on Hard mode. What makes material farming so important is because of how helpful the guardians are when they’re enhanced. The more enhanced they are the stronger their Blessings and Abilities will be. 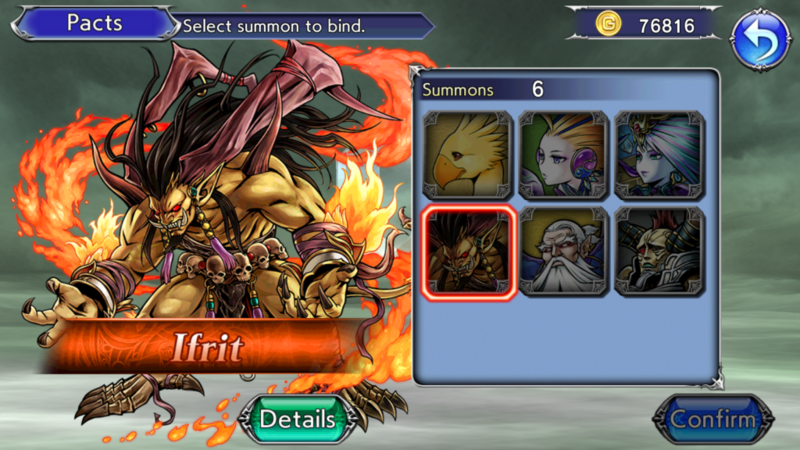 And there are some with extremely helpful abilities, like Ifrit who basically gives you 4-5 free turns to beat down on your enemies with bonus BRV pools. Or Sylph whose a healer for the entire party. Farming is tedious and takes a while but the effects of your effort highly pay off with the guardians. Plus, the auto function is a thing so it’s not going to take terribly long!